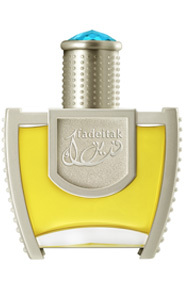 A tribute to eternal & selfless love, Fadeitak is a perfume of intimate moments and the simple pleasures of life. It blends the qualities of a classic perfume with its woody and ambery notes. The spicy notes mixed with Musk are at the heart of this composition. The fragrance culminates with ananimalic notes and the lingering essence of agarwood. The fragrance has a mesmerising aroma with the top fragrance notes of Amber. The spicy blend of pepper and musk are predominant for a long time, the scent finally culminates with woody musk and fragrant oudh. Owing to no alcohol content, the fragrance is skin friendly.